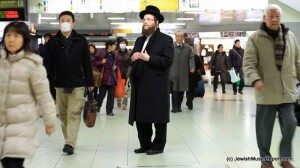 Danny Finkelman, producer of the Unity video and head of Sparks boys choirs, reports that filming is going well in Japan on the music video starring superstars Shloime Daskal and Avraham Fried being filmed outside the Japanese prison where two Israeli bochurim are still being held after unknowingly smuggling drugs into Japan in 2008. Shloime Daskal visited with the boys today and was told by Yaakov Yosef Greenwald that his visit made today the happiest day he has spent in prison, triggering emotions he didn’t even remember he had. Daskal and Finkelman are expected to return to New York on Thursday. Avraham Fried agreed to join the project after being approached by Daskal and receiving a letter from one of the imprisoned bochurim. While he was not able to make the trip to Japan, Fried is expected to start recording vocals next week.